Last week, conservatives cried foul over Google’s latest attempt to provide past examples of fact-checking for news outlets. 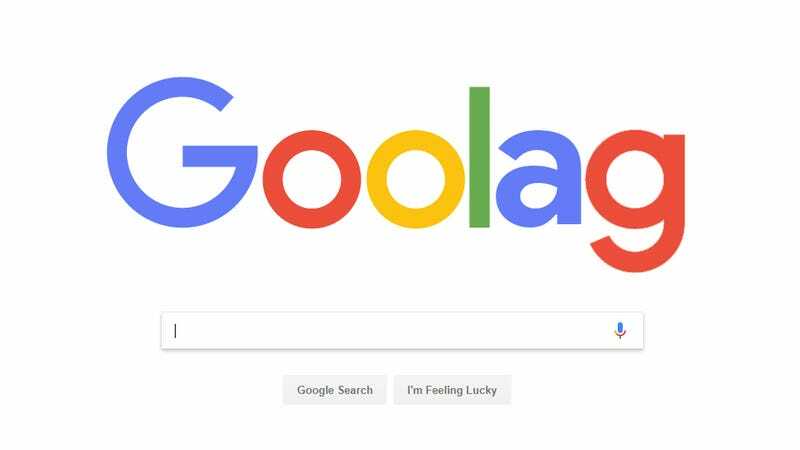 Right-wing pundits at The Daily Caller insisted that Google was targeting conservative outlets and giving left-leaning publications a pass. The answer is, expectedly, a bit more complicated than that. Google calls the feature that raised the ire of The Daily Caller, “Knowledge Panels.” You’ve surely seen them on the right side of the page when searching on Google’s homepage. Search for a movie, and you’ll get plot details, IMDb ratings, cast details, and other relevant information. Search for a media outlet, and you’ll get some information about the company, and other bits of data that vary depending on the publication. For example, The New York Times features a list of awards and what subjects the newspaper covers. Looking at The Daily Caller’s evidence, it appeared that they might have a point. Explicitly partisan liberal sites like ThinkProgress, Daily Kos, and Shareblue did not have the fact-checking feature on their knowledge panel, but big alt-right and conservative sites like Breitbart did have it. What’s more, The Daily Caller accurately pointed out that one of the reviewed claims labeled a story false (“three Pinocchios”) and quoted a DC writer as saying “The people that have been hired are all Hillary Clinton supporters.” The actual article doesn’t make that claim. Those words come from a Washington Post article that debunks the spirit of The Daily Caller’s insinuation that the Russia probe is stacked with Democrats who are targeting Trump. The quote itself comes from the president and isn’t featured in The Daily Caller’s piece. This feature was introduced to help people quickly learn more about publications. Google itself does not fact check stories. Third parties do. We have seen a few instances where our system for associating claims with articles has some issues that will be addressed. Fact checks are not designed to show up more often for sites based on any political leanings. Reviewed claims show up for sites that lean right, lean left and even for those that have no political leanings at all. That’s not very helpful. But Google has explained the way its fact-checking process works in a little more detail in previous statements. A blog post from last April announced that a small “Fact Check” tag would appear under certain stories in Google News “that include information fact-checked by news publishers and fact-checking organizations.” In some instances, users might find that “different publishers checked the same claim and reached different conclusions.” Google emphasized that it can’t be blamed for the conclusions, it’s just the messenger. “These fact checks are not Google’s and are presented so people can make more informed judgments,” it wrote. And in general, that’s the attitude Google has been taking all along as it slowly wades through the fake news crisis that Facebook amplified by a billion during the 2016 election. Who are these third parties that Google claims you should blame for the facts that you don’t like? It’s an expanding consortium of publishers known as International Fact-Checking Network (IFCN). The well-respected Poynter Institute organized the IFCN, outlined its code of principles, and reviews the applications of outlets that wish to become official signatories of the group. Of the 43 participants, you’ll find independent fact-checkers like Politifact and Snopes (both of which publicly outline their process). You’ll also find The Washington Post’s Fact Checker, an outlet that many conservatives consider to be liberal. And you’ll find The Weekly Standard, an openly conservative stalwart. Poynter has published all signatories applications and assessments for anyone who feels like looking. In addition to the IFCN, Google has joined the Trust Project, a nonpartisan group that’s working to create standards of transparency in journalism. Google hasn’t gotten around to implementing this feature in search yet, but Facebook started testing it back in October and its approach gives us a decent idea of how Google might use it. For some participating news outlets, an icon appears beside shared articles. Anyone who wants to know more about the legitimacy of the publication can click it and see information about the company’s fact-checking, ethics, and correction policies. Honestly, this project probably won’t do much for combating fake news and neither will the reviewed claims feature. But the Trust Project is nice in that it gives readers more information about an outlet’s process. Last year, the Washington Post reported out a long story about Alabama Senate candidate Roy Moore’s tendency to prey on teenage girls. The story’s transparency about the reporting process was a key factor in how seriously it was taken. That same reporting process was on full display a few weeks later when James O’Keefe attempted to bait the Post into publishing a false accusation and got himself exposed as the con artist that he is. The more people know about the process, the easier it is to slap down accusations of malpractice. But transparency is a problem for Google’s reviewed claims widget. Google never likes talking about the way its algorithms make decisions, and a spokesperson for the company declined to comment when asked how the decision is made to display the panel on some outlets’ knowledge panels and not others. This is the crux of The Daily Caller’s suspicions that Google just wants to destroy conservatives. It’s easy to make jokes that it’s probably just because there are more fact checks out there for conservative outlets because conservative outlets are notoriously untrustworthy. It’s funny because it’s true. But just to take Politifact as one example, its fact-checkers have reviewed 74 stories, statements, and promise updates from The Daily Caller. In the case of The New York Times, Politifact has published 2,563 fact checks. A source with direct knowledge of Google’s process explained this to Gizmodo on the condition of anonymity. The reason The New York Times, The Los Angeles Times, and the other outlets that The Daily Caller cites don’t have the reviewed claims widget is because the algorithm decides based on the ratio of fact checks from the IFCN to the amount of content the publication produces. In 2016, The Atlantic asked the Times how many articles it publishes per day, a spokesperson said, “NYTimes.com publishes roughly 150 articles a day (Monday-Saturday), 250 articles on Sunday and 65 blog posts per day.” Additionally, it produces hundreds of graphs and interactive items per month. The Daily Caller publishes a fraction of that, so its fact-checking ratio likely triggered the widget. Google just needs to be transparent about this, it should even share the formula for the fact check/content ratio. Additionally, the knowledge panel has a feedback button at the bottom that allows anyone to flag false information. The Daily Caller was correct to say that the claims against it regarding Hillary Clinton and the Russia investigation were incorrect. That claim has since been removed. But this feature raises the question of who reviews the feedback submissions. Google didn’t want to answer this question. It’s really not a big deal to publicize this information. Surely, if someone submits info that the claim is false, a rational human being can make a judgment based on the claim’s merits, but the fact that Google isn’t saying how this works will just fuel more suspicion. Does any of this help anything, or is it possibly harming the toxic media landscape? It’s tough to say. No one, right or left, wants Google to be the judge of journalistic quality. But its algorithm is sold as presenting the most relevant information on the web, and many people take that to mean the best information. So, the effort to add even more information alongside articles and outlet FAQs is appreciated while almost certainly being ineffective. For Google, the tempest in a teapot couldn’t have come at a worse time. On Monday, former-Google employee and men’s rights activist James Damore filed a lawsuit claiming that Google discriminates against white conservative men. The same day that The Daily Caller claimed that it was being unfairly targeted by Google, it also triumphantly declared that Damore’s suit “exposes Google’s rank internal bias, identity obsession.” And conservatives like FCC Chairman Ajit Pai have begun pushing the talking point that the real threat to net neutrality doesn’t come from telecoms creating fast lanes, but private networks like Twitter or Google “censoring” users speech. Once again, the attempt to show some type of progress in fighting fake news has just resulted in more controversy and accusations. And once again, a tech company is using a complicated process that’s difficult to summarize, while withholding certain information and asking the public for a level of trust. That ship has sailed, and without full transparency, Google’s going to be dealing with the children of James Damore for the foreseeable future.